Hearing loss in children is largely preventable with about 60 out of 100 cases being from preventable causes. Hearing loss is a huge drain on the economy, resulting in approximately 750 billion dollars in healthcare costs around the world. Preventive methods are largely effective and can reduce this global economic burden. Exercise has been shown to be an effective preventive method. However, there are cases when exercise may actually increase your risk of developing hearing loss. 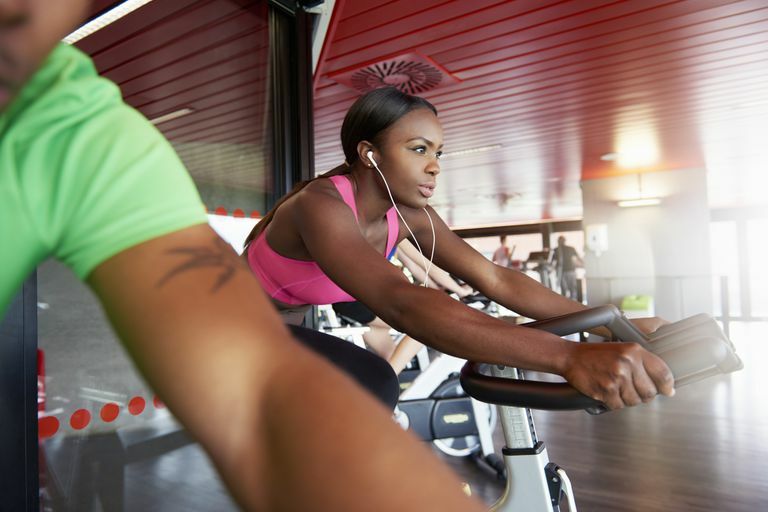 While exercise is most commonly associated with health benefits, exercise can be linked to increased risk for hearing loss when coupled with loud music. Your gym may offer aerobics classes that play music during workouts anywhere between 60 dB (dishwasher or dryer) to 90 or 100 dB (subway, passing motorcycle, or a hand drill). Any volume above 90 dB is considered extremely loud. The International Association of Fitness Professionals recommends that you be provided earplugs or other hearing protective items if volumes exceed 90 dB. These recommended time limits are for general loudness exposure. However, research has shown that your ear has a temporary threshold shift (TTS) which makes you more prone to hearing damage with exercise. You can experience tinnitus (ringing in your ears) within 2 minutes of exercising when music volumes are greater than 90 dB. Some conditions may also be exacerbated by exercise, such as patulous eustachian tube and tinnitus. While there are some potentially negative effects on hearing with exercise, the benefits outweigh the negatives in most cases. There continues to be growing research regarding the benefits and some of these benefits are not well understood. Body Mass Index (BMI) is a ratio of your weight (in kilograms) and height (in meters) to help determine your level of body fat. You can calculate your own BMI by the following equation: weight ÷ (height × height). If your BMI is greater than or equal to 25, which is considered overweight, you are at an increased risk of developing hearing loss. Regular exercise can help reduce your BMI and subsequently your risk of developing hearing loss. Centers for Disease Control and Prevention. 2016. Noise and Hearing Loss Prevention. https://www.cdc.gov/niosh/topics/noise/chart-lookatnoise.html. Curhan, SG, Eavey, R, Wang, M, Stampfer, MJ & Curhan, GC. 2013. Body mass index, waist circumference, physical activity, and risk of hearing loss in women. Am J Med. 126(12):1142.e1-8. doi: 10.1016/j.amjmed.2013.04.026. Taneja, MK. 2014. Improving Hearing Performance Through Yoga. J Yoga Phys Ther. 5:3. doi:10.4172/2157-7595.1000194. Wilson, WJ & Herbstein, N. 2003. The Role of Music Intensity in Aerobics: Implications for Hearing Conservation. Journal of the American Academy of Audiology, 14(1), pp. 29-38(10). World Health Organization. 2017. Deafness and Hearing Loss. http://www.who.int/mediacentre/factsheets/fs300/en/.